8 takeaways from our latest ranking of the Top 100 Courses in the World and U.S. Here's the first thing to know about GOLF's latest biennial lists of the Top 100 Courses in the U.S. and Top 100 Courses in the World: perusing them might drive you a touch crazy. Sure, the photography is beautiful and the write-ups snappy. Many talented course connoisseurs had a hand in this edition, and it's the most comprehensive Top 100 package we've ever published. If you love golf, you'll eat it up. But these lists can also cause, to borrow a phrase from the pharmaceutical TV ads, an adverse reaction — as in a burning desire to play more golf. These lists should come with those FDA warnings they slap on cigarettes. So as you dig in, consider opening another browser window to your favorite travel-booking site. You're going to need it. That's the first takeaway from the new lists. Here are seven others. 2. The easiest way for a new course to crack the list may be to build near an ocean. 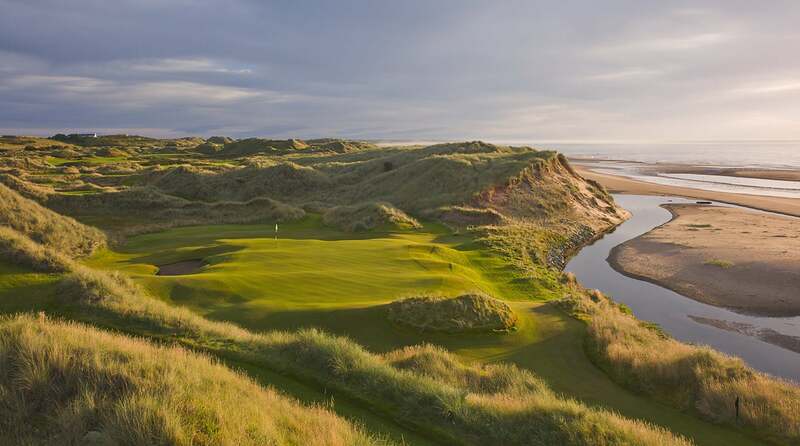 Tara Iti in New Zealand, Cabot Cliffs in Canada and Cape Wickham in Australia all boast outrageous waterside views. All are new to the World's Top 100. All make me want to click my heels and be magically transported to their first tees. 3. None of President Trump's domestic courses made our U.S. list. But the First Golfer wasn't totally shut out. Two of his Scottish jewels, Trump Turnberry (up seven spots to No. 17) and Trump International (up two to No. 46) remain mainstays in the world's Top 100. 4. It's lonely at the top. Pine Valley has been ranked No. 1 in both the U.S. and world since 1985, and Cypress Point has been entrenched at No. 2 since 1991. They're 1 and 2 again this year. Safe to say that it would take something extraordinary to knock either off its pedestal. 5. The biggest names in golf architecture are (mostly) familiar. A.W. Tillinghast's name appears most frequently on the two lists, with 13 of his designs in the U.S. and seven in the world, led by San Francisco G.C. (16, U.S.; 25, World). Alister MacKenzie checks with six in the U.S. and eight in the world, including Cypress Point and Augusta National (no further explanation needed there). But some names still fly under the radar, like Seth Raynor, the protégé/partner of C.B. Macdonald, who has an imprint on 11 Top 100 courses in the U.S. and four in the world, led by Fishers Island in New York (11, U.S.; 19, World). 6. Another way to crack the list is a good, old-fashioned "throwback" makeover. Projects that restored views, bunkering, greens and strategies to a bygone era are being rewarded. On the U.S. list, L.A. Country Club, Sleepy Hollow, California Golf Club, the Valley Club of Montecito and Fox Chapel, which jumped 14 spots, are among the big movers that benefitted from these types of restorations. For excellent courses still on the outside looking in, it's never too late to turn back the clock. 7. Speaking of throwbacks, how about Prestwick? Built in 1851, it's currently out of the British Open rota but has hosted the second-most Opens of all time, behind only St. Andrews. This year the classic links checks in at No. 100, cracking the list for the first time in its illustrious history. 8. It's both fun and frustrating to count how many Top 100s you've played. As I scanned the list, it was exhilarating to see the names of tracks I once played and fondly reflect on those rounds. But long intervals between familiar courses can be humbling. After I finished, reality set in: I've played only 11 of the Top 100 in the world. Thanks to travel for various projects, I've walked 10 others without hitting a shot. A 21% hit rate? There's work to be done! See you on the first tee.